You know those books that list some dude’s 500 favorite beers that you should try but would never be able to track down, ultimately leaving you with a sense of failure and disappointment? This isn’t one of those books. 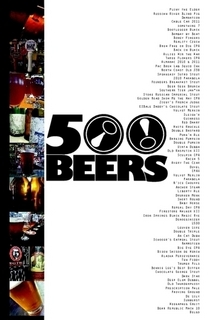 500 Beers ($15) is simply a great way to keep track of the beers you’ve tried, want to try, or will never drink again. With space to keep track of labels, locations, pictures, and notes as well as a progress tracker, this is the best way to document your journey through the wonderful world of craft beer. The Craft of Stone Brewing Co.: Liquid Lore, Epic Recipes, and Unabashed Arrogance written by Stone founders Greg Koch and Steve Wagner with Randy Clemens offers the beer lover an in depth, behind the scenes, look at how Stone Brewing got their start and the attitude it takes to become a powerhouse in the craft beer world. This image heavy tome is beautifully laid out and includes the history of the brewery, the beers, Stone’s famous World Bistro and Gardens, and the craft beer scene in America and Europe. Recipes from the bistro and scaled homebrew recipes of some of Stone’s most famous beers make this book more than a one time read. Pick up the book at your favorite online bookstore or click here. An interesting look at the culture of beer in Michigan, showcasing the people who created and continue to shape it. 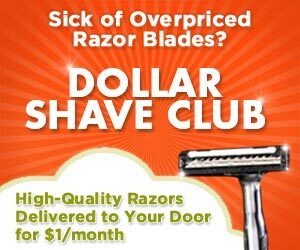 Beer People is available in full-length from Vimeo and is definitely worth the 20 minute runtime. The video clearly shows why the craft beer industry is growing and why that’s a good thing through interviews with brewmasters, homebrewers, hop farmers, and bar owners. Only available for a limited time. Oktoberfest isn’t the only time for masses of beer drinkers to gather and play ridiculous games while downing liter after liter of delicious brew. In fact, beer festivals happen year round all over the world and thanks to certain cities that recognize the importance of their local breweries as well as the significance of beer culture in general, there are entire weeks dedicated to beer. Check below for an upcoming celebration near you in January and February. If you don’t see anything nearby, have a look at beerfestivals.org for some smaller but still great festivals around the world. Like you needed another reason to crack open a brew, Belancio has created a fantastic infographic outlining the health benefits and common myths surrounding the world’s most consumed alcoholic beverage.